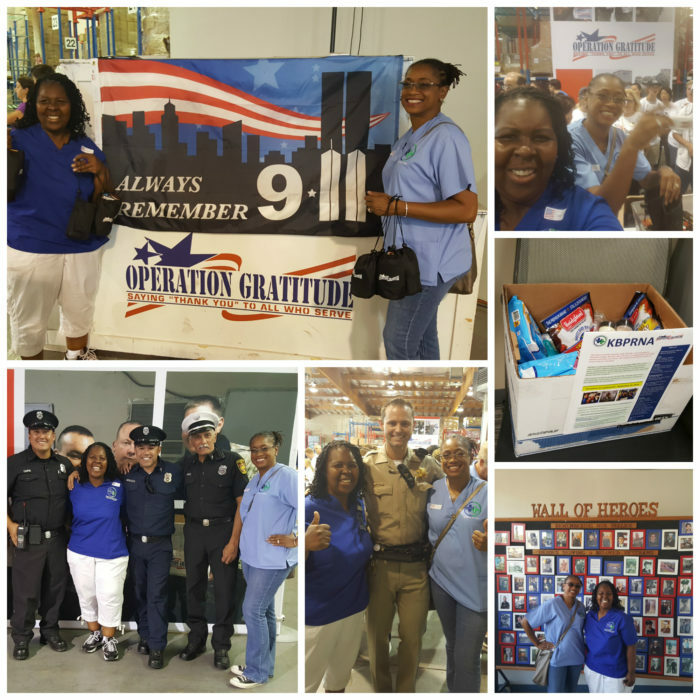 As part of the mission to lift the spirits and meet the evolving needs of first responder, active duty, and veteran communities and to express our appreciation for these heroes, Kaiser Baldwin Park Registered Nurses Association (KBPRNA) collected donations for Operation Gratitude. Operation Gratitude annually sends 200,000+ care packages to deployed troops, new recruits, veterans, first responders, wounded heroes, and their caregivers. Pictured here are KBPRNA officers Jacqueline Asfall, RN, and Shay Williams-Hargrove, RN, dropping off donations on behalf of KBPRNA members.